I’m teaching a class on blogging this semester at Southeast Missouri State University. As we discussed the importance of images in blogging and storytelling, I told the class, “Just because it’s on the Internet does not mean it’s free!” I explained that you must attribute any image you use back to its origin. Unfortunately, that was not explanation enough and apparently caused confusion. As I struggled to explain more thoroughly, I thought there have to be others out there with this same perplexity! 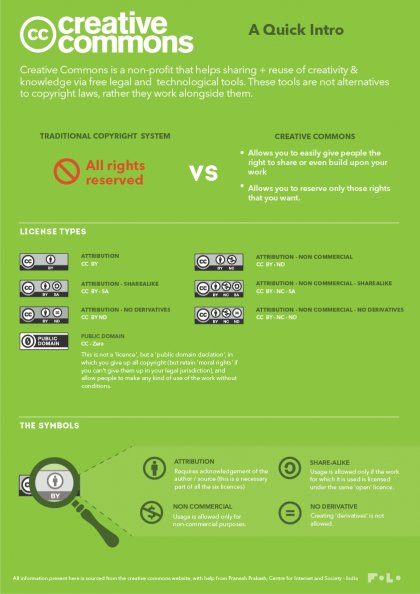 Copyright law is incredibly complex. Adding to that complexity is the fact that most of the laws governing copyright were written long before the World Wide Web. Regardless, here are some tips and best practices. 1. Use free public domain images. 2. Use Creative Commons® images. These types of images are ideal for blogging or educational use. Works may also be public domain if their copyright has expired or if they are uncopyrightable. Even public domain images should be attributed to and linked back to the source. Two sources for finding public domain images are The Public Domain Review and The Getty Open Content. What sources do you use for finding images? What advice would you add?